With the Samsung Galaxy Note series of smartphones, it was proven that “bigger is better”. 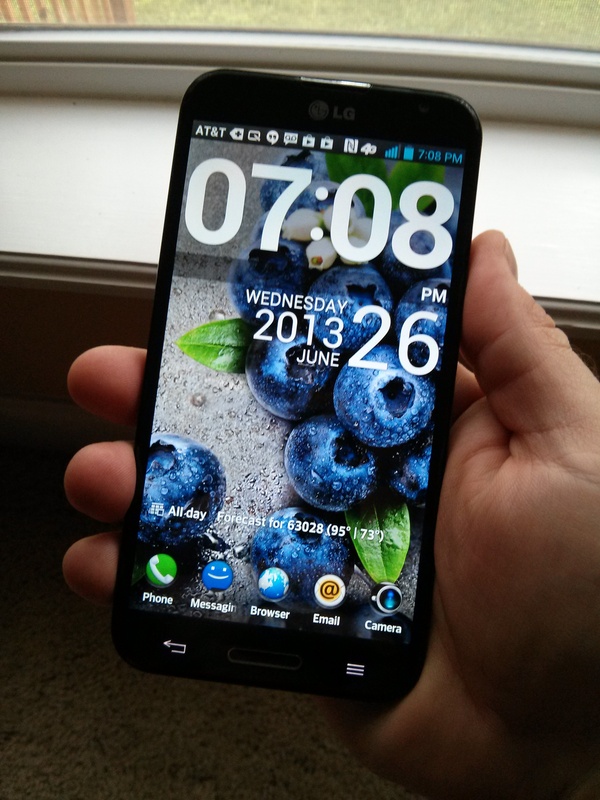 But has LG been able to pull off the same feeling with their Optimus G Pro? The LG Optimus G Pro, currently available only on AT&T, has obviously been designed and targeted towards those people who feel that having the larger screen size makes their mobile experience that much better. Over the time that I spent with the Optimus G Pro, I found myself really comparing it to the Galaxy Note 2 from Samsung I reviewed earlier this year. It is pretty difficult not to compare it to the genre standard really. After years of user complaints and shoddy third-party variants, Google has finally answered iOS’s “Find My iPhone”, (Apple’s official and free app for locating and remote wiping a lost device) feature with a locator of its own: the Android Device Manager. Google’s solution to the increasing problem of device theft comes at a time when smartphone manufacturers have seen mounting pressure from authorities to add software-side features that could help curb what has been called a violent crime epidemic. Apple and Samsung in June, have included the potential for a “kill switch,” which would permanently brick a stolen device and make it worthless for resale. Moves is quickly becoming one of my favourite apps. It’s one I installed as soon as I switched to my Nexus 4. I open Moves maybe once a day. Twice, at best. Moves does its magic in the background. I don’t have to do anything except carry my phone with me. I hit a new record today! 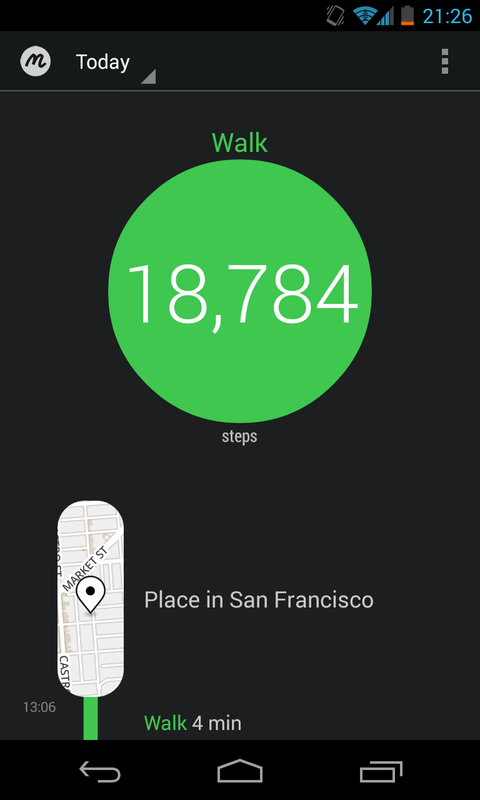 18,784 steps AKA 3 hrs and 13 min of walking AKA 12.9 km. Smartphones : Android pèse 80% du marché, iOS au plus bas depuis 2010. Le marché des smartphones a progressé de 47% sur un an au deuxième trimestre 2013. Un segment largement dominé par Android, dont la part de marché s’élève désormais à près de 80%. Android, l’OS mobile de Google, accroît encore un peu plus son assise sur le marché des smartphones. Au deuxième trimestre 2013, sa part de marché s’élève à 79,5%, soit 10 points de pourcentage de gagnés sur un an, relève le cabinet Strategy Analytics. Le principal perdant dans l’affaire n’est autre qu’iOS. Si les ventes d’iPhone ont bel et bien progressé sur un an, de 26 millions d‘unités à 31,2 au deuxième trimestre 2013, ses parts de marché ont tout de même régressé, à 13,6% contre 16,6% l’an passé.